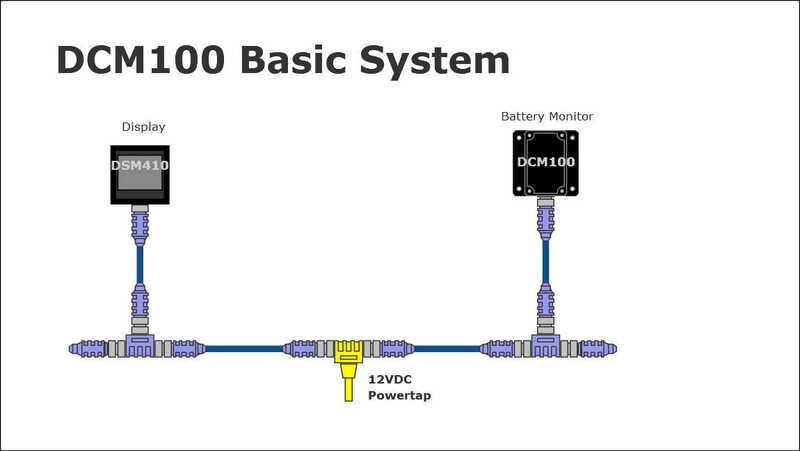 Maretron’s Direct Current Monitor (DCM100) provides information about the DC electrical system and in this example the DCM100 is used to monitor the house battery bank. Vital battery information including voltage, current, state of charge, and battery temperature are provided. The following screenshots (click to enlarge) are examples of how monitored data can be displayed on the DSM410.